Qualcomm, AT&T, Ford, and Nokia have announced plans to start connected car trials with Qualcomm's Cellular-V2X (C-V2X) technology. According to Qualcomm, the trial is the first for the U.S. and will help to accelerate the development of connected cars. The trial is to demonstrate the potential of C-V2X technologies, including support for improved automotive safety, automated driving, and traffic efficiency. The tests will use Ford vehicles equipped with Qualcomm's 9150 C-V2X chipset to provide real-time mapping updates and event notifications, relayed using AT&T’s 4G LTE cellular network and Nokia Cloud Infrastructure. 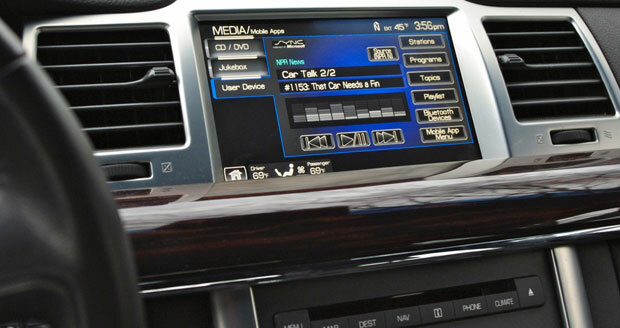 The group hope to demonstrate to automakers and road operators the advanced vehicle communication capabilities of C-V2X for improved traffic efficiencies, support for vehicle safety, automated driving, and anticipated cost-efficient benefits associated with embedded cellular technology in vehicles. C-V2X has been defined by the 3rd Generation Partnership Project (3GPP) in 2017 as an extension of global cellular standards. It is seen as an important factor in next-generation wireless technology for safety conscious and automated driving solutions. The direct communication capability of C-V2X will to help expand the role of wireless technology for road safety applications by allowing vehicles to communicate directly with other vehicles, pedestrian devices, and roadside infrastructure, such as traffic signs and construction zones. Complementary to other Advanced Driver Assistance Systems (ADAS) sensors, such as cameras, radar, and LIDAR, C-V2X technology is designed to support 360-degree non-line-of-sight (NLOS) awareness. It is designed to extend the vehicle’s ability to see, hear, and understand the environment down the road, at blind intersections, or in bad weather conditions. The initial testing phase is expected to begin later this year in San Diego.